Basically, it's a way to share what books you've picked up in the last week. With Christmas, you might think I would end up with a huge pile of books, but my family definitely avoids buying me any unless I've posted a list somewhere of what I want. I did get a gift card which will be put to good use picking up some new releases in the next few weeks. 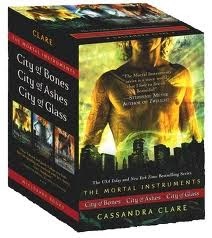 Because I must be among the few people remaining who haven't read the Mortal Instruments series. He also grabbed me a copy of the movie, so I guess I'll be reading the book first and comparing! I don't usually go in for this kind of book - it's a tie-in with a line of dolls that Mattel sells. 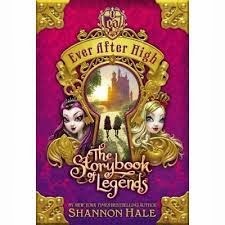 But I love the concept - the children of fairy tale characters dealing with legacies of their parents, destined to repeat their parents' stories (or are they?). 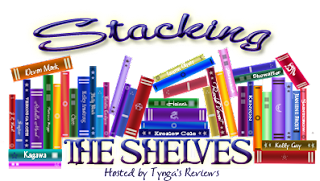 That's it for me this week, what did you stack on your shelf this week? You are not alone. I haven't read The Mortal Instruments series either. I do have them on my TBR mountain though. Way too many good books and way too little time for reading them. Come see what I got at Ms. Martin Teaches Media and Inside of a Dog. Happy reading and happy new year! I am also one of the few who still hasn't read it ;) Looking above, it seems like there's quite a few of us! I hope you enjoy them all! New Bloglovin follower. :) My STS.